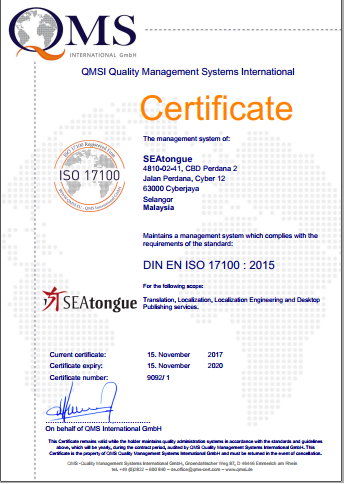 SEAtongue as one of Asia’s best translation and localization companies has achieved ISO 17100. 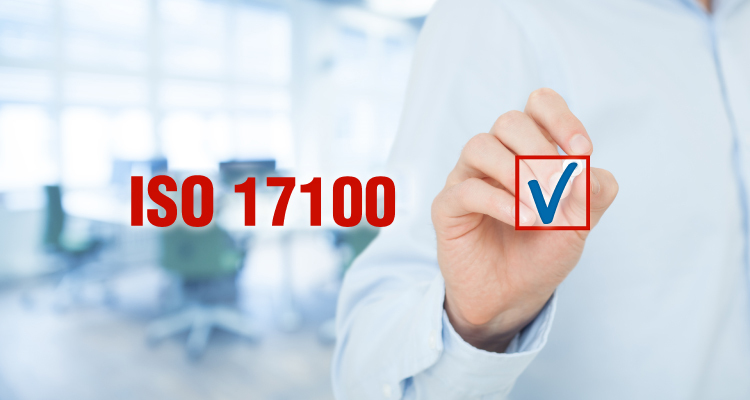 Obtaining ISO 17100 certificate is a confirmation of the quality of the service provided by SEAtongue. Over the past years, the company has gained the trust of customers from all over the world and has become the leader of the translation market in the continent of Asia. Developed in 2015, ISO 17100 is a streamlined case manager which simplifies the interaction between client and translator by ensuring that important files are safely backed up and easily retrieved when needed. With its ability to minimize errors and customer complaints, the system has a myriad of benefits to both the user and the client including improved efficiency, increased security and overall superior quality management. SEAtongue also offers software engineering, quality assurance, project management, and multilingual DTP, ensuring the sovereignty of the translation market requires the provision of all types of translation services needed by companies, which is what SEAtongue offers.